A great way to make resilient and unruly hair much more manageable and frizz free is with something called a Brazilian keratin treatment. 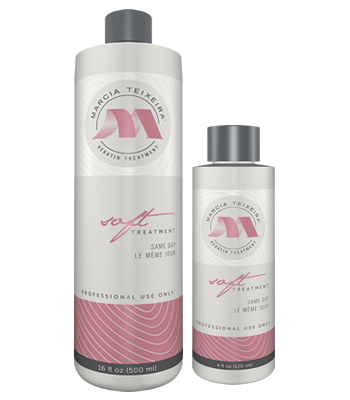 M&M International provides several different kinds of keratin hair treatments for every kind of hair so that you can get your hair to the shiniest, most manageable condition that it can possibly be. Keratin treatment is a protein solution that is used on your hair and can improve it for up to five months. Unmanageable and frizzy hair can be a headache in more ways than one. That is why keratin treatments were created by many companies like M&M International. It makes unmanageable hair that much better to maintain for a while. The process of putting this in your hair is simple and harmless to the hair. The keratin solution is only made up of proteins. Original solutions are available for normal types of hair. Medium to fine hair with curls will be softened and relaxed quite a bit. This hair treatment will condition dry hair and make it shine. The best part is how manageable it will be after you are done. You will love the results. Chocolate solutions are available as well. This particular type of hair treatment is great for African American people and those that have tight curls or very coarse hair. It contains cocoa butter and antioxidants that form a deep conditioning treatment that will improve hair drastically from its original state. 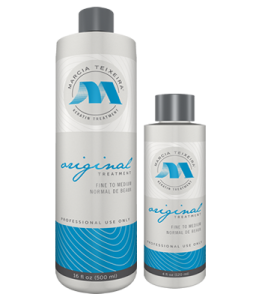 Soft treatments for fine to medium hair do the same thing as regular treatments but are extra gentle on your hair and allow hair to be washed the very same day. There is a soft chocolate treatment as well that provides the same thing for coarse hair as well. Advanced treatments are great for more active people of all hair types. The results of this are immediate and the hair can be rinsed that very day so that the person can get right back to their busy and active life. This is the most convenient type of keratin treatment for hair in general. M&M International offers a large variety of these Brazilian keratin treatments that will literally transform your hair. They are easy to use, affordable and come in many different types to make all types of hair the most beautiful and manageable that they can possibly be. You can have beautiful hair, no matter what your hair is like to begin with.